Dr. Zejin Jason Ding is a research scientist at Barracuda Labs since May 2011. 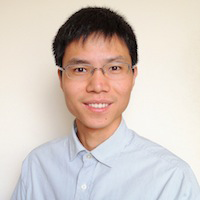 His main research interests include applying machine learning methods to solve security related problems, such as spam detection, automatic URL/domain classification, malware prevention, etc. His recent researches focus on identifying new threats and risks over popular social networks. Several interesting discoveries include the study of Facebook Fake profiles, and the underground economy of Twitter followers, which both inspired new research and business directions in the social media industry. Prior to joining Barracuda, Zejin earned his Ph.D in computer science from Georgia State University in May 2011. His research areas were machine learning, data mining, and bioinformatics.